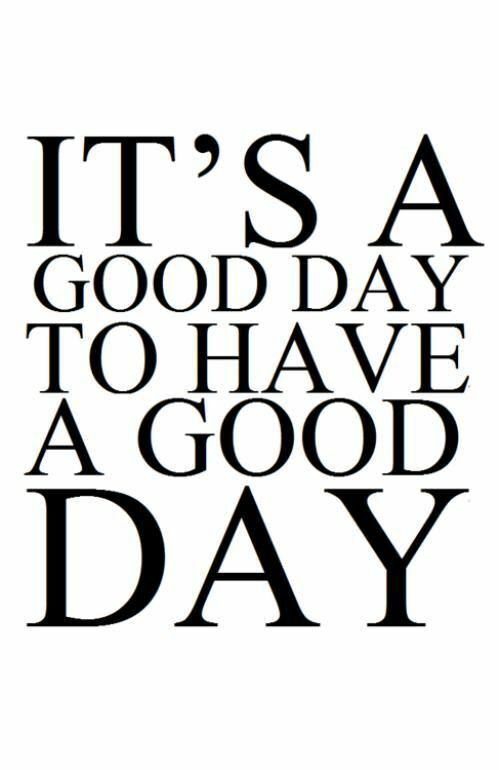 Happy Monday and YES, it is a good day to have a good day. I have noticed that so many people are very reactive when it comes to their days. Something sets them off in the morning or things don’t go as planned, and they pass their mood on to everyone else who crosses their path. If you are upset with yourself or others, it will set the tone for the day. This can and will lead to a unwanted chain reaction. If people become emotional, they will lose their productivity in the process. Time to get real. Do most days leave you energized or depleted? I would like to provide a few mental strategies on how to make it a good day. Practise to put things in perspective: Name 3 things that you appreciate instead of focusing on what goes wrong. We can always hit some roadblocks BUT how much will this matter one year from now? Reflect by asking yourself: What matters most in my thought process and my actions to receive a positive result? Do I focus my attention on things that make me lose my emotional control? You have more control over your days than you think you do as long as you plan for it. Why give your power to others?